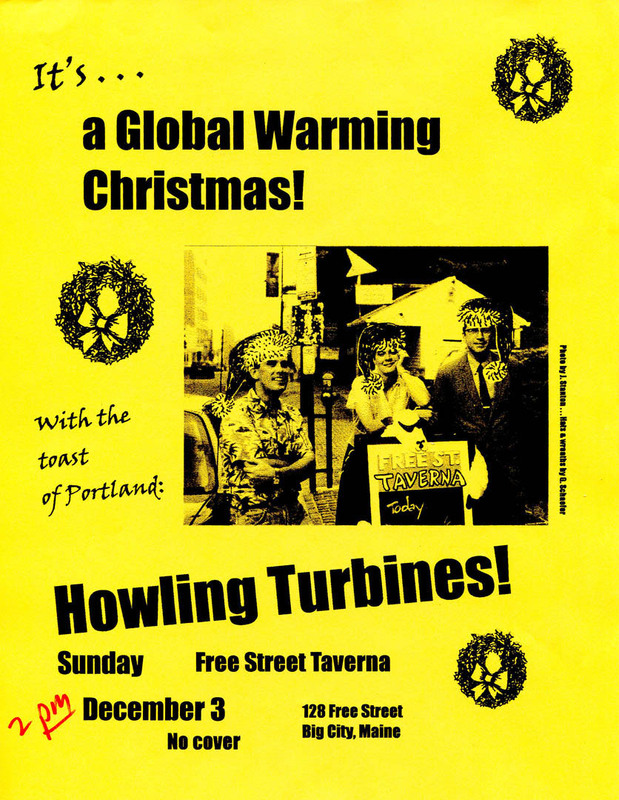 This was a group effort: Gretchen Schaefer created the Santa hats to superimpose on Jeff Stanton’s image of the Howling Turbines, taken outside the Free Street Taverna on a 90-degree day. I wrote and laid out the poster. Hubley Archives.